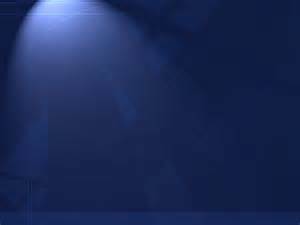 ”An awareness of the swift passage of time seems to have put me in a philosophical frame of mind as I selected the material for this new recording. The title track pretty much sums up my thinking along all existential lines these days. No matter how you look at it, it’s definitely later than you think, so try to act accordingly…Other songs also add their two cents to this ramble through the existential jungle– Let the Good Times Roll is about as succinct a philosophy of life as I can imagine. Joe Paquin’s cosmic Cajun tune Little White Dot helps us get a firm grip on our place in this big ol’ Universe in just over three minutes. Quite a feat…Les Mysteres (The Mysteries) attempts to capture a fleeting bit of life’s mystery in a darkly dramatic instrumental piece.In Dreams lets us drift a while on the sweet sea of memory, where time can’t touch us. 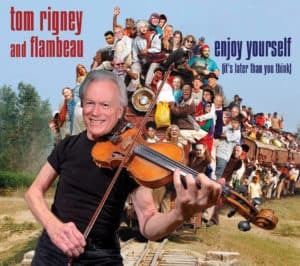 The cover art, with the happily oblivious fiddler about to be run over by a train, is a collage of many people–family members, friends, musical colleagues, and well-known artists, thinkers, and athletes–whose lives have had a profound influence on me. All of them have shuffled off this mortal coil but their memory and their accomplishments continue to inspire me. Cajun and more from San Francisco, Rigney once again lets his mash up chops fly in an instrumental tour de force that finds him and the gang really tearing it up. Moving, grooving and mostly original except where writers of the past said things that can’t be topped, this is great stuff that cheerily colors outside the lines and delivers the thrills. Wonderful real music for real ears looking for new kicks, the master shines when he does his thing.